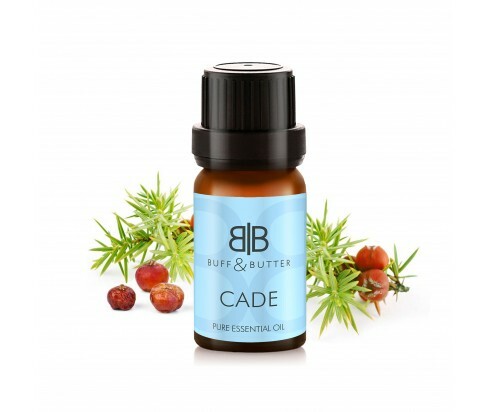 Cade essential oil is obtained from the juniper tree, found across North Africa and the Mediterranean. It has an intensely smoky, tar like smell that has been compared to the scent of leather. It can be used as a base note and fixative in fragrance blends. Cade essential oil has been used in a variety of products meant to relieve skin irritations and conditions such as eczema, psoriasis and dermatitis. It can also be used to manage scalp infections and dandruff.